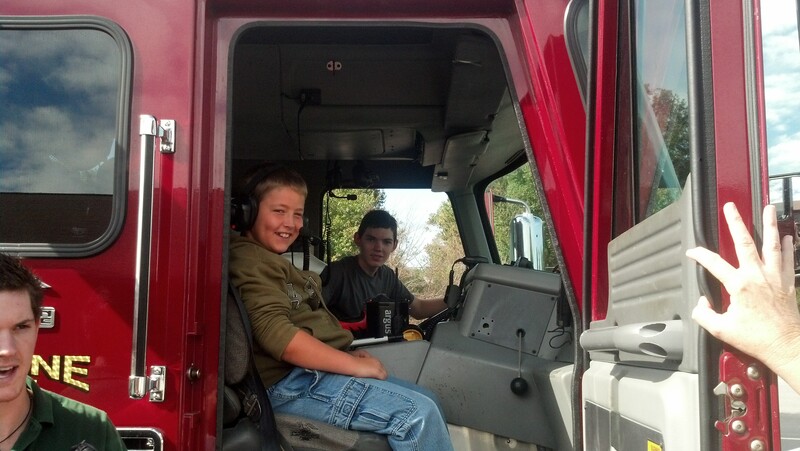 Home » Blog » Alexander Christian Academy » Thank you God for FALL fun! Thank you God for FALL fun! We have had an exciting week at ACA and we are so thankful for all of the wonderful things that God has made so special just for Fall. 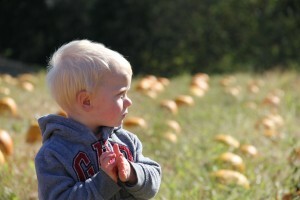 Yesterday we thanked God for pumpkins and wagon rides as we went on our first field trip to The Farmers’ Daughter. It was so much fun to take a hayride to the pumpkin patch to pick out pumpkins. We learned a lot about growing pumpkins as well as other wonderful things that God makes like yummy strawberries. It was a beautiful day to enjoy the fall weather with our friends and families as we played together, had a picnic, and even got to shop at the produce stand. Micah also learned the word “cow patty” on our field trip. 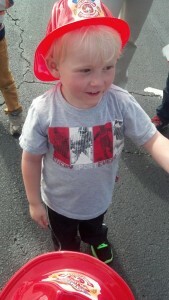 I am so thankful that our “city kid” could increase his vocabulary skills! I think that the best part about his newly discovered word was that he and Joel and several other students would yell it whenever they would see a “cow patty” along our wagon path as we rode back from the pumpkin patch. I guess that we learned to be thankful for ALL of the things that God created that we can see on a farm. Today at Alexander Christian Academy we had a very special visit from the Bethlehem Community Fire and Rescue Department. 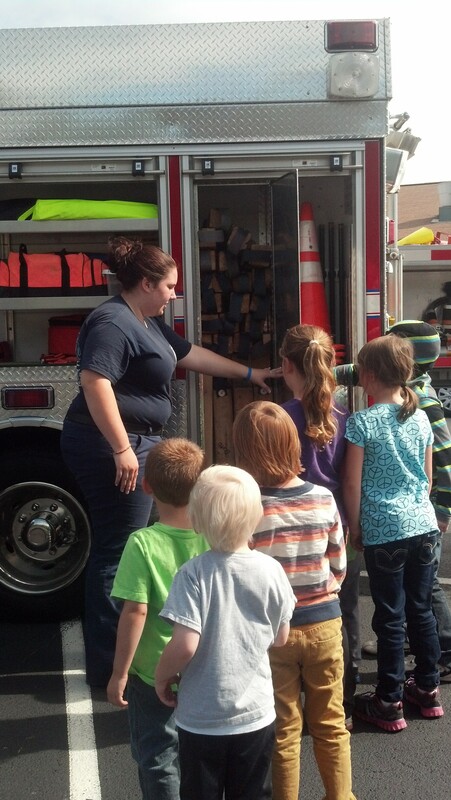 Several members of their department came to talk with us about fire safety and to tell us all about how they help others. 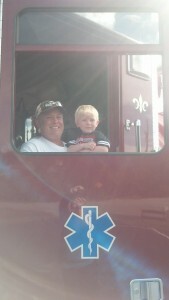 They brought two different trucks for us to see, and showed us how they use them in fire and rescue situations. 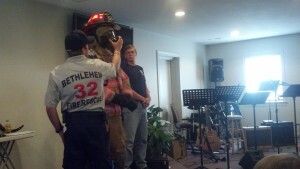 One fireman put on his uniform for us and talked to us about not being afraid if we ever see a firefighter in uniform. He talked to the kids about how firefighters come and help whenever there are fires and how they help people get out of buildings. 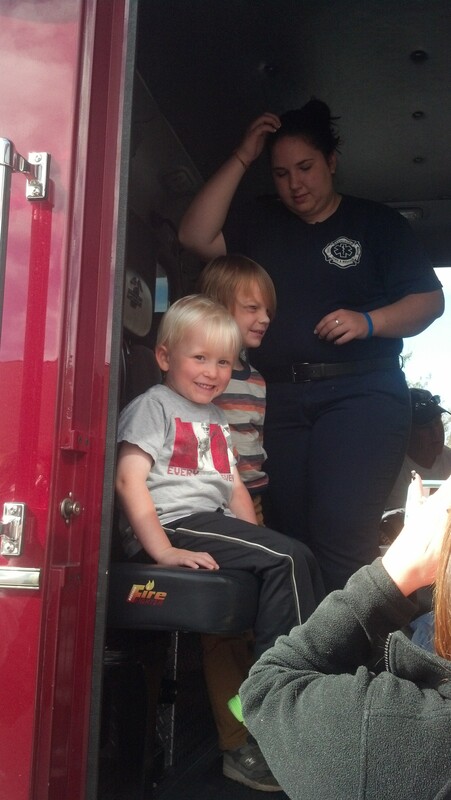 Our students got to sit it the fire truck, ring the bell on the truck, and watch as the firefighters explained how all of their equipment on their trucks worked. They were all so excited to learn more about the fire trucks and about the jobs that the firefighters do. They loved their firefighter hats and the coloring books and other fun items that the firefighters left for them to have as reminders of our special day. I am so glad that we could all learn more about staying safe and about the important jobs that firefighters do every day. We pray that God will continue to keep them safe and that He will continue to use them to help others. We thank God for all of things that He has created and all of the people that He has made to help us stay safe. Please continue to pray for our students, staff, and families as we learn and grow together at ACA. ← The godly LOVE to give……. Look at how God is working at ACA!